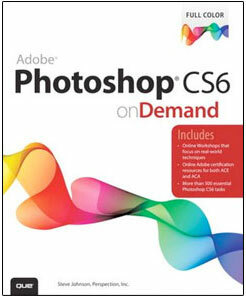 Creative professionals seeking the fastest, easiest, most comprehensive way to learn Adobe Photoshop CS6 choose Adobe Photoshop CS6 Classroom in a Book from the Adobe Creative Team at Adobe Press. 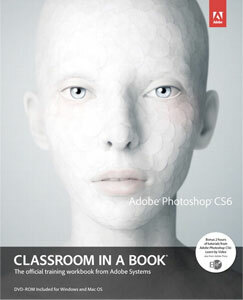 The 14 project-based lessons in this book show readers step-by-step the key techniques for working in Photoshop CS6 and how to manipulate images, edit motion-based content, and create image composites. 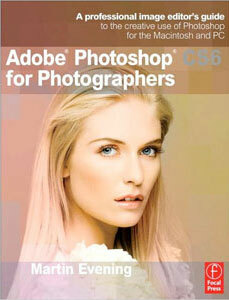 In addition to learning the key elements of the Photoshop interface, this completely revised CS6 edition covers new features, including precise cropping with multiple overlays, expanded content-aware toolkit with skin tone-aware selections and masking, three new blur effects, re-engineered design tools, adaptive Wide Angle adjustments, improved Camera Raw engine, improved auto corrections, Background Save and Auto-recovery, modernized user interface, intuitive video enhancements, simplified 3D interface, improved editing speed with real-time results, and more. 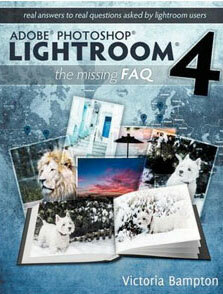 Adobe Lightroom 4 - The Missing FAQ is a compilation of the most frequently asked questions, presented in question and answer format so that you can easily find the answers you're looking for. ?? 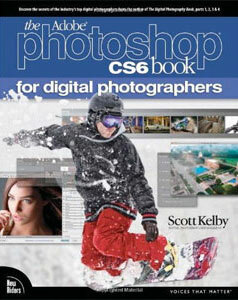 Whether you're a new user who likes to dive straight into new software and figure it out as you go along, a more experienced user wanting to learn how to get the best out of Lightroom, or you've just got a burning question you'd like answered, this book is for you.?? These are real-world answers to real questions asked by real Lightroom users. It not only covers how to do things, but also why they work the way they do. Lightroom may have a mind of its own... but now you can learn how it thinks. ? There's a story behind this book... and a FREE bonus! The Adobe Lightroom - The Missing FAQ series were originally intended to be searchable eBooks, however once the books were released to the public, a demand arose for a paperback version too. 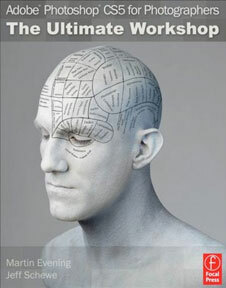 While some books have a PDF supplement, this book is the other way round - the color PDF eBook is designed to be the primary book, and this black & white paperback is the supplement. Anyone purchasing the paperback version is invited to contact the author via her website to download the main PDF version and 2 other digital formats absolutely FREE - just send the code from inside the book, plus your Amazon order confirmation. 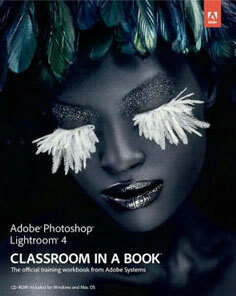 Serious digital photographers, amateur or pro, who seek the fastest, easiest, most comprehensive way to learn Adobe Photoshop Lightroom 4 choose Adobe Photoshop Lightroom 4 Classroom in a Book from the Adobe Creative Team at Adobe Press. 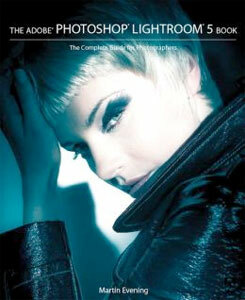 The 11 project-based lessons in this book show readers step-by-step the key techniques for working in Photoshop Lightroom 4. Photoshop Lightroom 4 delivers a complete workflow solution for the digital photographer, from powerful one-click adjustments to a full range of cutting-edge advanced controls. Readers learn how to manage large volumes of digital photographs, work in a non-destructive environment to allow for fearless experimentation, and perform sophisticated image processing tasks to easily produce good-looking pictures and polished presentations for both web and print. 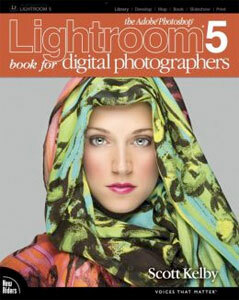 This completely revised Photoshop Lightroom 4 cross-platform edition explains new tools that bring out greater detail in highlights and shadows, and tools that help you make targeted adjustments to white balance, noise reduction, and more. You'll learn how to craft elegant photo books, organize your images by location, and easily share your images and videos on social media and photo sharing sites. This major update to his award-winning, record-breaking book does something for digital photographers that’s never been done before—it cuts through the bull and shows you exactly “how to do it.” It’s not a bunch of theory; it doesn’t challenge you to come up with your own settings or figure it out on your own. Instead, Scott shows you step by step the exact techniques used by today’s cutting-edge digital photographers, and best of all, he shows you flat-out exactly which settings to use, when to use them, and why. That’s why the previous editions of this book are widely used as the official study guides in photography courses at colleges and universities around the world. Adobe Photoshop Lightroom was designed from the ground up with digital photographers in mind, offering powerful editing features in a streamlined interface that lets photographers import, sort, and organize images. 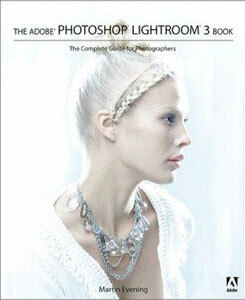 This completely updated bestseller, The Adobe Photoshop Lightroom 3 Book, was also written with photographers in mind. 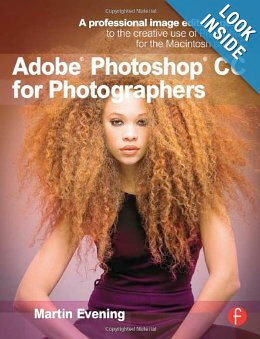 Author Martin Evening describes features in Lightroom 3 in detail from a photographer’s perspective. As an established commercial and fashion photographer, Martin knows firsthand what photographers need for an efficient workflow. He has also been working with Lightroom from the beginning, monitoring the product’s development and providing valued feedback to Adobe. As a result, Martin knows the software inside and out, from image selection to image editing to image management.